Old Brook’s stands alone on the moors without a track to it these days – which makes it all the better preserved. The history of this property starts more recently than many others – I don’t know anything about the dwelling prior to 1835 when we know that cattle were kept here in the shippons. 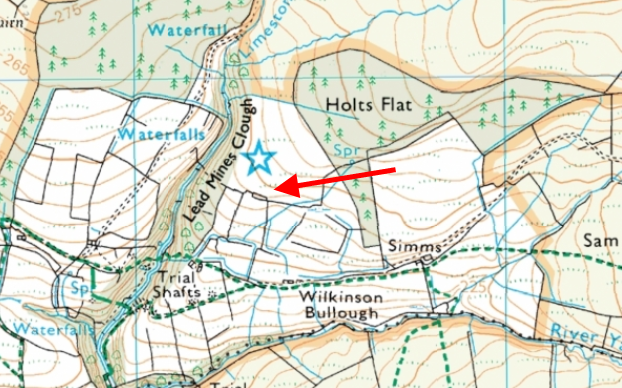 The ruin is not labelled on current mapping, but you can trace the outline by the rectangular field edge. This property had one of the smallest areas of associated land, a mere 8 acres, which equates to around 5 touching football pitches. This can probably be marked out by the rectangle above that spreads out beneath the dwelling, with a diagonal stream running through it. The area around Lead Mines Clough had plenty of ruins, as would be expected. In 1819 the farm had links, unsurprisingly, with the dominant Pilkington family. Samuel Pilkington, who was born in 1819, was known to be a Stone Quarryman at the age of 32, and was confirmed as resident here at Old Brook’s Farm with his spouse, Charlotte Webster, a Hand Loom Cotton Weaver until around 1861. The pair moved out of here to Abbott‘s, and Old Brook’s was taken over by a Joseph and Mary Pilkington. The walls and layout are still clear to see. 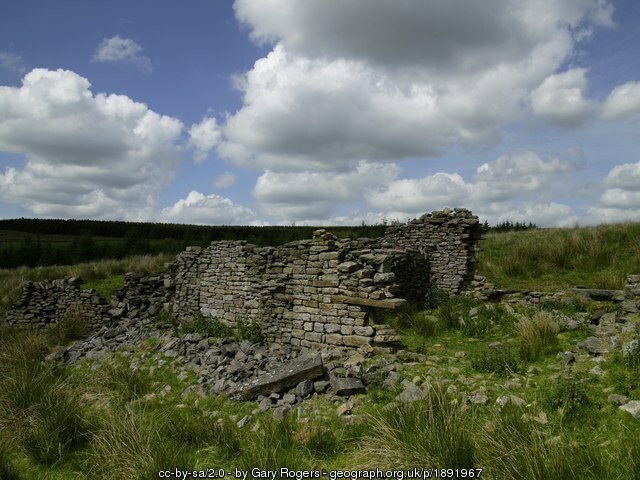 Joseph Pilkington threads a fascinating link between Old Brook’s and Stones House. Joseph was born on the 26th January 1822, presumably at Stone’s where we know he worked as an agricultural labourer until 1861 when his mother died and he moved out. He farmed the land here at Old Brook’s, and later combined this role with being a beer-seller and ultimately an innkeeper… I wonder where? 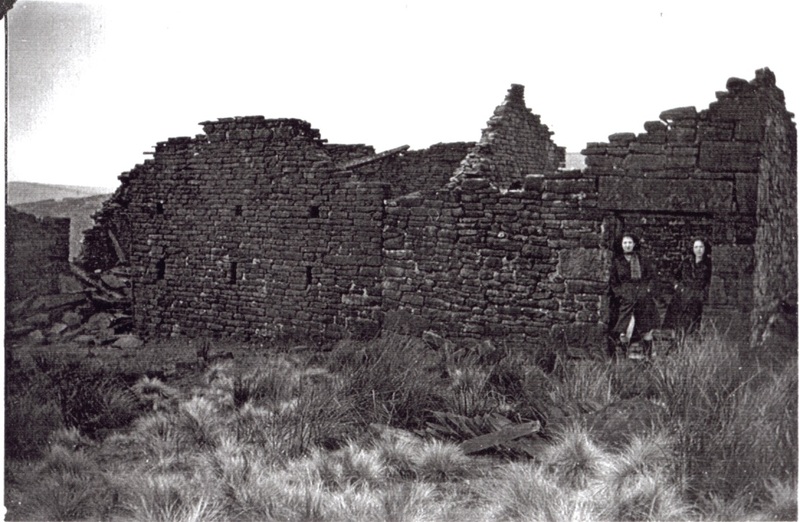 Is this the oldest remaining photograph of Old Brooks? His wife was born as Mary Kershaw in 1825, and they had a single child, Jane, who was born around 1858. Joseph died on the 14th November 1913, at 127, Bolton Road, Chorley, and was buried at Rivington Presebyterian Chapel, and I should check whether Mary shares the plot. 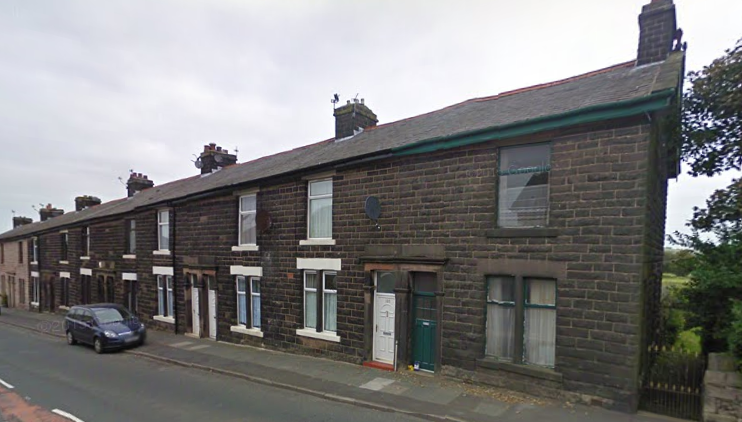 Joseph Pilkington of Old Brook’s died at 127 Bolton Road, Abbey Village, Chorley – the property with the green door. 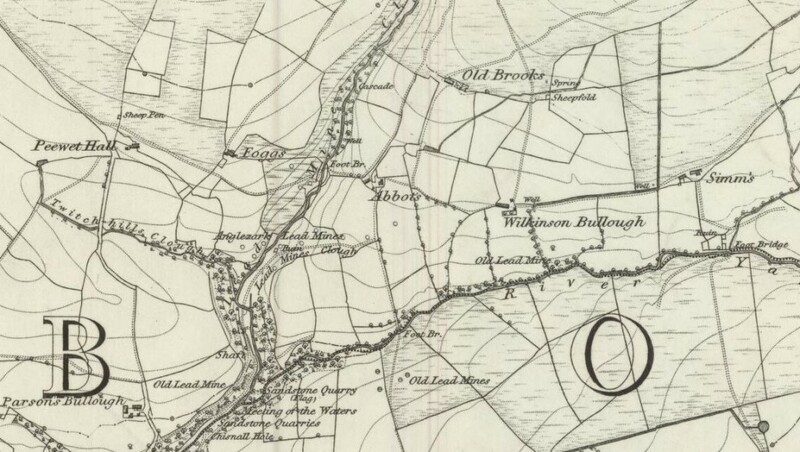 (Note – there is a 127, Bolton Road in Chorley itself, and also in Abbey Village, Chorley. I assume the latter, as the former appears too recent a structure). Joseph’s daugher, Jane, and her partner Daniel Calderbank gave Joseph and Mary four grandchildren – they were Joseph, John, Reginald and Abel. This wouldn’t normally be newsworthy, but this grandson Joseph has a huge gravestone at the Presebyterian Chapel. 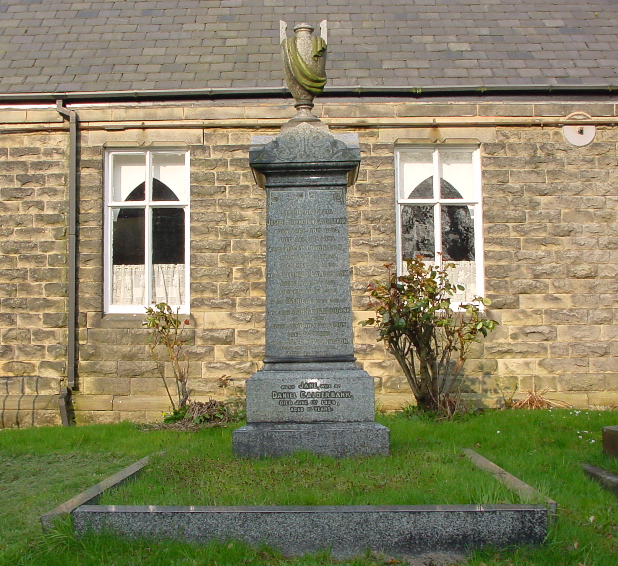 The huge memorial gravestone of the descendants of Old Brook’s. The rent dropped to 66% along with Abbott’s in 1897, and shortly after the turn of the century, it went to rack and ruin courtesy of the Liverpool Corporation taking over the land for water catchment. I hope a modern day descendant reads this and can tell us more about the property and the family.